Another natural disaster has wreaked havoc in Southern California, specifically the Montecito area. 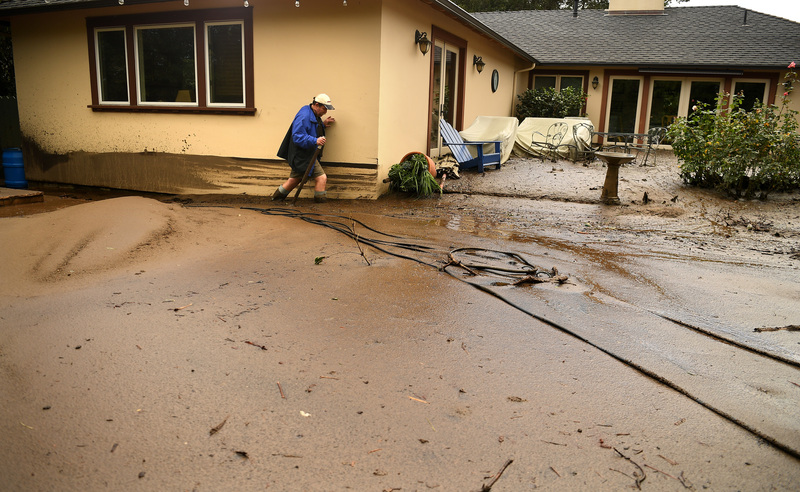 Following last month’s wildfires, which forced tens of thousands to evacuate their homes, dangerous mudslides have now flooded the area. According to CNN, there are 15 reported fatalities, and others are missing. BBC adds that around 163 people were taken to the hospital, at least 50 people were rescued, and approximately 300 residents of the Romero Canyon neighborhood are trapped in their homes. Mudslides are caused by heavy rains. In this case, Southern California was experiencing its first rain in several months. 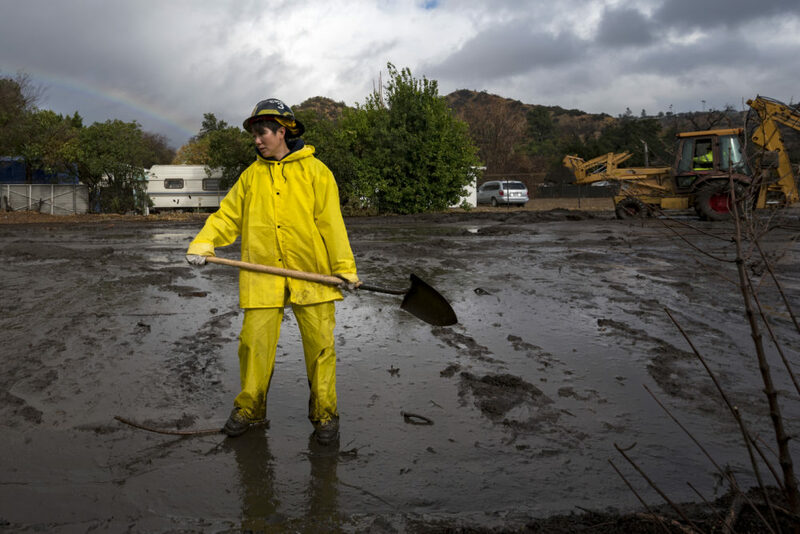 As BBC explains, grounds were still scorched from last month’s wildfires, so when the rain came into contact with the burned ground, a mudslide formed. 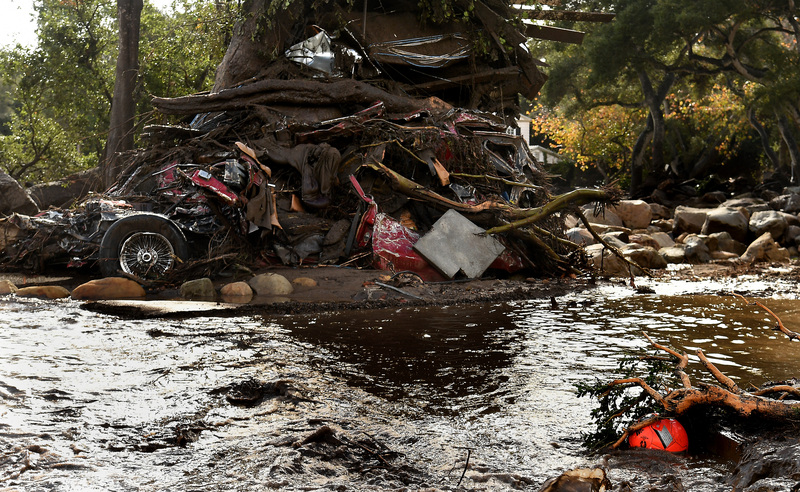 Oprah, whose property was affected by the mudslides, shared three short videos from her home. One of them shows how deep the mud is in her backyard. NBC Nightly News shared a video of a crew rescuing a 14-year-old girl from the rubble. She was reportedly trapped for more than six hours. Good Morning America sent a drone through an area that had a mandatory evacuation. And CNN shared a video of a dog helping firefighters search through the debris in Montecito. Many other images emerged of the devastating mudslides. MONTECITO, CA - JANUARY 09: Mark Olson tries to access his house as he climbs through mud in his back yard along Olive Mill Road in Montecito after a major storm hit the burn area Tuesday January 9, 2018 in Montecito, California. 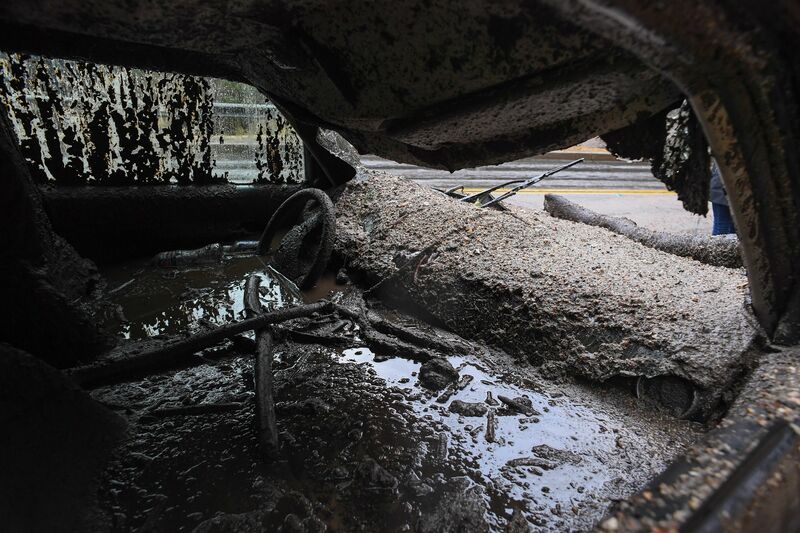 TOPSHOT - Mud fills the interior of a car destroyed in a rain-driven mudslide in a neighborhood under mandatory evacuation in Burbank, California, January 9, 2018. 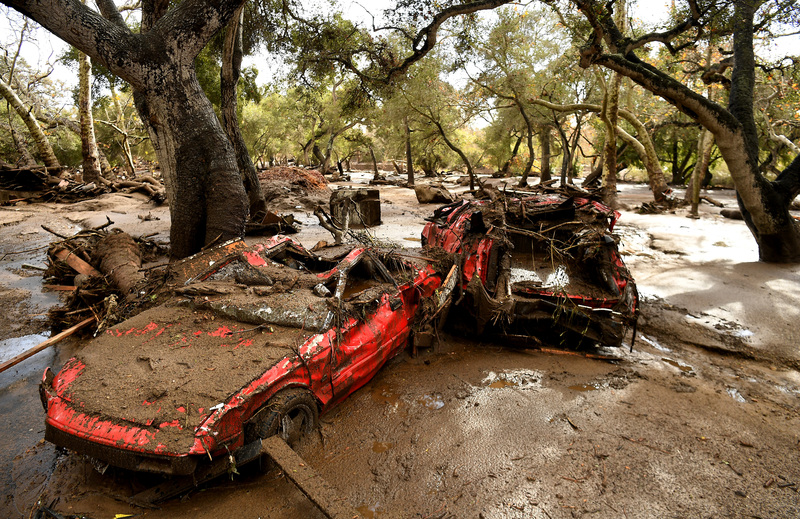 Mudslides unleashed by a ferocious storm demolished homes in southern California, authorities said Tuesday. Five people were reported killed. MONTECITO, CA - JANUARY 09: Sheriffs deputies carry a body from the debris near Hot Springs Road in Montecito after a major storm hit the burn area Tuesday January 9, 2018 in Montecito, California. 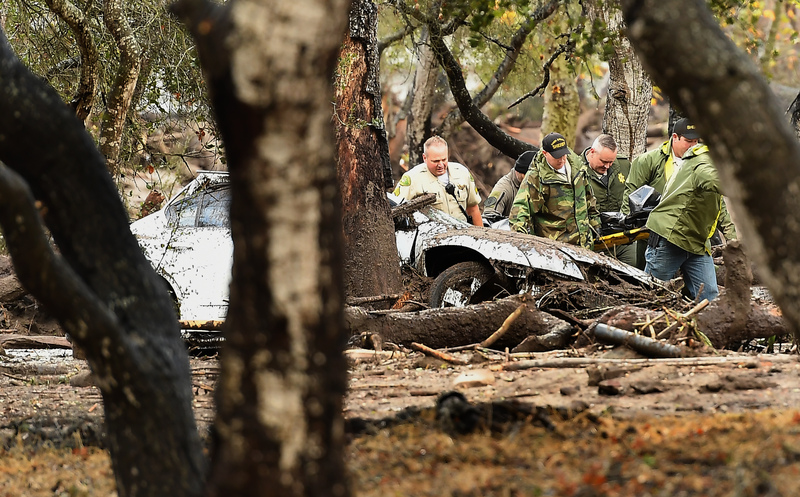 MONTECITO, CA - JANUARY 9: A mangled car along with other debris stack up aguainst a tree along Hot Springs Road in Montecito after a major storm hit the burn area Tuesday January 9, 2018 in Montecito, California. We hope that everyone in Southern California stays safe, and we’ll update readers on how to help victims of the mudslides.